The Epic X laser treatment at Bedminster Family & Cosmetic Dentistry is an innovative piece of dental equipment used for gum disease treatment, teeth whitening, pain relief, and more. 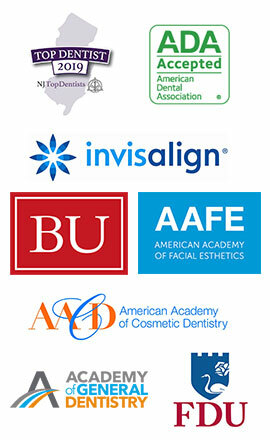 Never settle for less than the best from your dental practice. Modern technology makes appointments easier, faster, less invasive, and as painless as possible. There are different stages of gum disease, from mild gingivitis to full-blown periodontitis and tooth loss. The Epic X laser treatment is a safe and effective method for managing mild to moderate gum disease, controlling the bacteria in your mouth to prevent the progression of gum disease and bring gums back to good health. The laser-assisted hygiene makes every periodontal treatment productive, so treatment is faster and fewer visits are needed to clean up the infection and decay. Epic X also encourages quicker healing, which means you’re that much closer to getting any needed dental restorations like dental implants. The built-in pulse modes on the Epic X are designed to reduce discomfort associated with periodontal disease: swollen, bleeding, and inflamed gums. 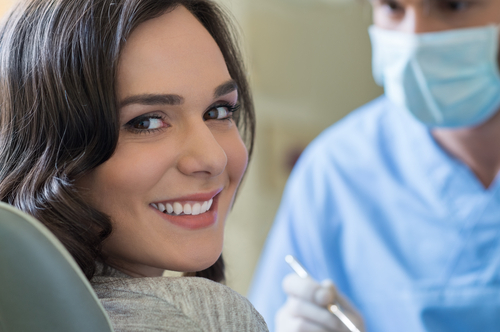 A gentle but effective treatment makes it easier for you to finally seek out your Bedminster dentist and say yes to much-needed dental care, so you can achieve and maintain good oral health. Professional teeth whitening options are already exceptional, but Epic X takes the norm one step further, offering the fastest in-office whitening procedure currently available. A hydrogen peroxide-based whitening gel is applied to the teeth and activated by the sophisticated laser, providing a less-sensitive experience than other whitening systems. If your teeth are dark, yellow, or discolored because of food, drinks, or tobacco, you will have noticeable, stunning results. A complete in-office teeth whitening using the revolutionary Epic X takes less than an hour of chair time, with a dramatic shade change visible in only 20 minutes. An Epic X whitening is truly a lunch-hour whitening treatment with immediate results. When people see more of your gums than your teeth when you smile, you’re living with an overgrowth of gum tissue. There are many potential causes of a gummy smile, including improperly erupted teeth, small teeth, a short upper lip, enlarged gums, or an overgrowth of the upper jaw. Using the Epic X laser, a gummy smile reduction, also known as a gingivectomy, allows your Bedminster dentist to create a balance between gums and teeth – without pain and gore. You may also be a candidate for porcelain veneers after this soft-tissue surgery – the veneers can provide additional length, so you have flawless teeth all the way around and can be confident about your smile. TMJ discomfort can be severe for some dental patients. All they want is relief from the clenching and the pain. The Epic X laser has the capability to provide minor, temporary pain relief for TMJ dysfunction and other oral maxillofacial pain. An attachment on the laser provides external treatment that doesn’t touch the skin. The high-powered laser is moved up and down the side of the jaw, joint, and temple, having an analgesic effect on the muscle and trigger points where pain and stiffness live. Multiple five- to 10-minute sessions over a concentrated period are usually recommended for patients who undergo this treatment. Epic X also offers pain relief and promotes wound healing for sufferers of cold sores or canker sores. A combination of Epic X laser treatment, cosmetic dentistry, and restorative dentistry creates beautiful, healthy, and strong smile makeovers. Some patients of Bedminster Family & Cosmetic Dentistry add facial fillers like Botox to assist with pain relief while minimizing fine lines and wrinkles and complementing any aesthetic enhancements. Find out whether laser treatment is right for your oral health concerns. Contact us today to schedule your consultation.